other daily damage that caused to your phone! Manufactured using premium hard plastic material. Made of durable high-grade and hard plastic material, the iPhone Crystal Case provides anti-slip grip make it more comfortable feeling to hold. Precise cutouts give easy access to all buttons, vital ports and feature without remove this Apple iPhone 3GS iPhone 3G Crystal Case. The installation process is quick, simple, and no phone disassembly is required. 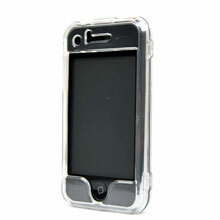 Apple iPhone 3GS iPhone 3G Plastic Case is molds perfectly fit to iPhone's shape and highlight its beauty.